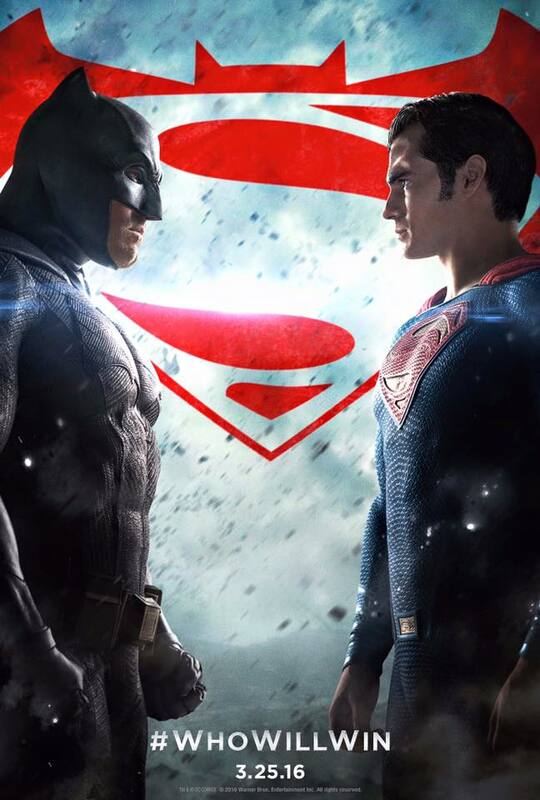 With exactly TWO MONTHS to go until the big superhero brawl fest of the century is unleashed in theaters, Warner Bros. and DC Entertainment have released a brand new poster for the next DC Films entry in “Batman v Superman: Dawn of Justice“, which sees The Dark Knight staring face-to-face against the Man of Steel and the hashtag “Who Will Win?” just above the film’s release date. Just a week ago, The CW aired the DC Films special “Dawn of the Justice League“, which gave a closer look at BvS that included some snippets of new footage and interviews with stars Ben Affleck/ Batman and Henry Cavill/ Superman. And as a way to fan the flames of war and makes fans choose a side, director Zack Snyder had a special video message for both “Team Batman” and “Team Superman” via his official Twitter page, telling them to use hashtags and emojis of either the “Son of Krypton” or “Bat of Gotham”.